Which Type of Tea is Best? Home HealthFood/Diet Which Type of Tea is Best? Right after water, the most popular beverage in the world is tea. It’s been known for centuries that tea is good for you. A thousand years before the birth of Christ, the Chinese were already letting the leaves steep in a pot, patiently waiting for their brew to be ready. But with all the different types and varieties on the market, which one is best for you? The answer is a firm, resounding…it all depends. Let’s take a look at some of the teas available to you. Green tea— Perhaps the most widely-known type for its purported medicinal abilities, green tea has the least amount of caffeine, usually less than 30 percent. It has even garnered attention from the austere American Cancer Society. Although noting controlled, randomized clinical trials are needed to determine the effectiveness of green tea, the Society does offer an interesting comment. Cancer cells continue to grow and multiply when other cells die. But green tea contains chemicals known as polyphenols. Found in abundance in the tea are catechins, which in turn cause cancer cells to die much like normal cells. Black tea— Since it’s usually used in iced tea, it’s the most widely consumed in the USA. Black tea is the most highly oxidized so it fights free radicals that can cause aging of the skin, wrinkles, arthritis and other problems in the human body. It also holds its flavor longer than any other tea. Some of its many benefits include preventing diarrhea, skin infections, pneumonia and cystitis. It also lowers the glucose level in the body so it’s beneficial to diabetics, increases metabolism so it help you lose weight, and helps blood to course more freely through the body. Have some black tea and start getting in shape. And you won’t be called color blind if you look closely and see black tea is crimson colored; that’s why the Chinese aptly have named it, you guessed it, crimson tea. Oolong tea— Also called “brown tea,” this variety is a cross between green and black tea. China and Taiwan produce some of the finest wu long or oolong tea. Probably because it only accounts for 2 percent of all tea consumed around the world, not as much research has been done on oolong tea’s health benefits. But controlled studies have shown that flavored or unflavored oolong tea helps with skin disease, reduces blood pressure and improves heart health. And perhaps to the chagrin of dentists everywhere, it retards the effects of bacteria called streptococci. What does that mean? Drinking the stuff can help prevent tooth decay. White tea— With an inherent sweetness, this tea has only recently found its way to the USA. Some of the reasons for its followers? How about inhibiting the growth of fats cells and helps smash apart existing ones. Want more? It reduces cell damage experienced from too much exposure to the sun, lower blood pressure and cholesterol, has antioxidants that help in different types of cancer. Bone health, reduction of blood sugar levels and recovery from illness as it boost the body’s immune system. The fact is, white tea is the least processed, so it likely is the healthiest. And for these reasons, white tea may soon dethrone green tea as the reigning champ. Herbal teas—Did you know these teas aren’t actually teas at all? They don’t come from the same plant as the others listed above. That said, less research has been done to see if they actually work. However, they’re accessible and are gaining popularity. Produced for specific reasons such as relieving insomnia, relaxation, sore throats and calming an upset stomach, they also come in caffeine free, low calorie and organic varieties, too. Try peppermint for digestive aid, chamomile for nighty-night, ginkgo biloba to help you concentrate and rosemary tea for relief from a killer headache. 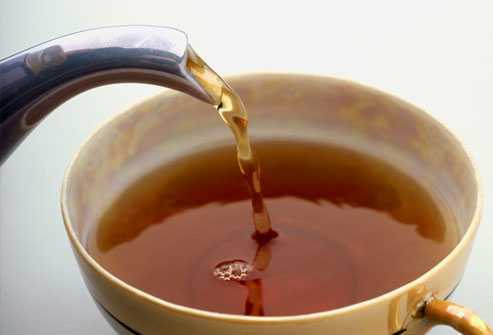 While lots of research still needs to be done to prove all the medicinal claims, the fact remains—tea is good for you. So choose your favorite and enjoy. What type of tea do you prefer? Is the best from top to bottom? The article was great but need more further details especially in health issue. Drinking tea is very nice and helpful article. Good job Chris!